Four Seasons Concierge is happy to provide in-town transportation for our Park City clients. Why worry about parking or driving when you go out for the day or night? 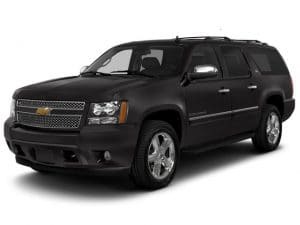 Our team has full size luxury SUV’s to hold your entire party. We provide seamless transport to anywhere in the area, including restaurants, hotels, lounges, ski resorts, and other business. With our no surge pricing, you always know the fees upfront and will never be surprised when you arrive at your destination. Four Seasons Concierge is light-years above the competition. We have truly taken transportation into the future with Our App and transport services. Below are some of the great services we offer Park City and the neighboring cities. Prices during the Sundance Film Festival may increase due to increased traffic and reduced number of rides available. Minimum Hours for “Hourly/As Directed” vary based on Vehicle Type. There are thousands of transportation services in Park City, but none come close to Four Seasons Concierge. The main reason, is our commitment to our client’s satisfaction. We treat each client like we would want to be treated. All our fees are upfront and we offer transportation with children (a service others don’t provide.) If you are tired of worrying about the time or being late, give us a call or click Our App. We will be there quickly, with a smile on our face.